In an open letter to the organization’s membership, Golz provided an update after the USOC announced it had started the process of revoking the federation’s status earlier this month. She stressed that day to day operations of the federation would continue as normal, such as all existing competitions, services and memberships but the organization was discussing how to move forward. “I want to thank you for the communications we’ve received over the past several weeks expressing your perspectives about the USOC’s recent action, which is both unsettling and upsetting, especially for athletes, coaches and club owners,” Golz wrote. “We have read the feedback and we understand how difficult the situation and uncertainty are for everyone. “We know you have questions and concerns about what this means for you, the athletes, your gym, your invitationals, your club members. 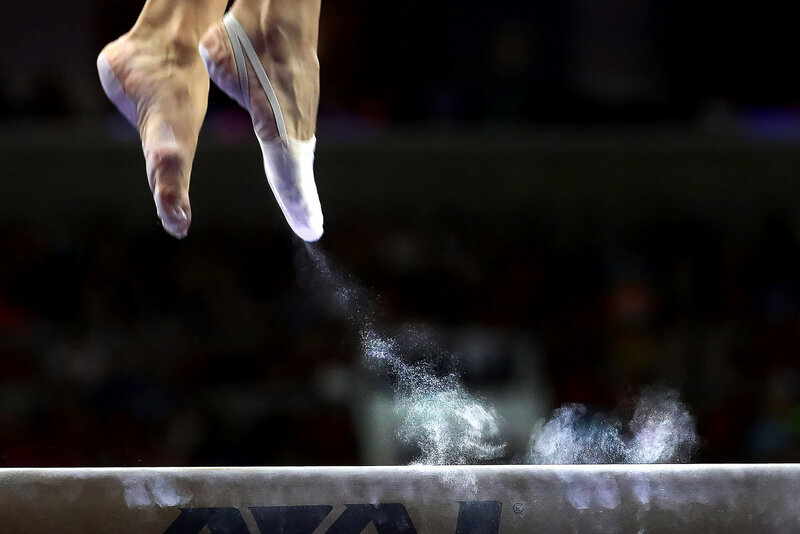 At the beginning of November, USOC announced they had begun to take steps to revoke the scandal-hit USA Gymnastics’ recognition as the member national governing body for the sport. It follows the organization’s handling of the Larry Nassar case in which dozens of women, including Olympic athletes, accused Nassar, a former USA Gymnastics team doctor, of abuse. The letter also states the organization’s commitment to find a permanent chief executive after the resignations of Kerry Perry and Mary Bono. The organization are working to finalise the job specification for candidates but said they have already had potential interest.